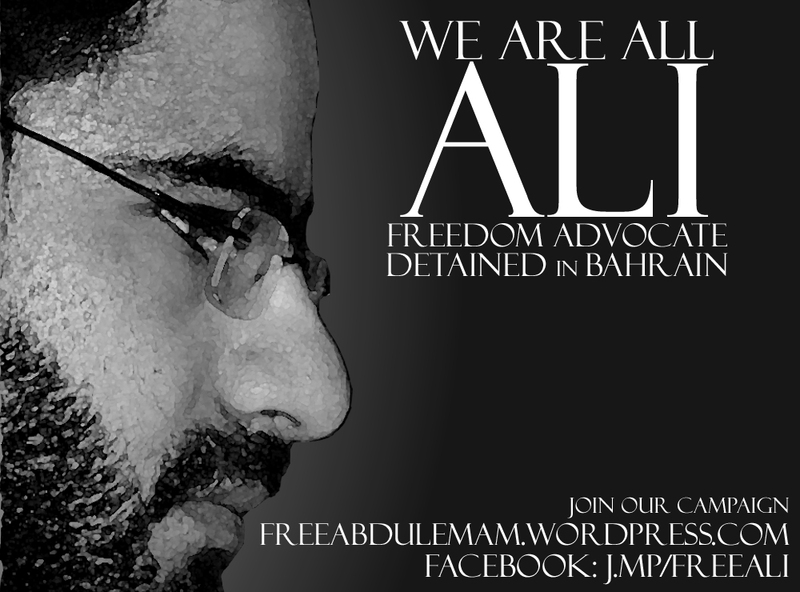 Ali is a blogger, Global Voices Advocacy author, BahrainOnline(it’s down now!) founder and a very determined activist against censorship from Bahrain. He was arrested by the Bahraini authorities on September 4th(not his first arrest) for allegedly “spreading false news” on the BahrainOnline.org portal. PLEASE support Ali! Spread the news so he can get back to his family free IMMEDIATELY! Join the Facebook group Free Ali Abdulemam and the blog as well Free Blogger Ali Abdulemam. Also, the minister of foreign affairs in Bahrain Khalid is on twitter @khalidalkhalifa to be contacted directly. I’ve been cleaning up my online accounts lately and today was delicious.com‘s day. Note: The old one(lebnightS) will not be deleted but I’ve copied the bookmarks to the new one. إنه مكلّف بمهمة إغتيال الحريري بال2005!! She shouldn’t have “apologized” or “explained” herself! but the fact that she “explained” and “regretted” what happened is simply ridiculous! لذا سوف أنشرها كما هي..من دون أي تعديل..على أمل أن تجد الصبايا الخاتمة لمأساتهن في هذا البلد! I lost hope in this country a long time ago..I know for sure that it’s not going forward in any way..But to go backwards? This country and its official keep surprising of how low they can be..
How could you write down a law to monitor anything that doesn’t exist yet?? Give us decent internet or any telecommunication mean and then write your stupid laws(we won’t accept them then either). Internet has been the only free (kind of) air we could breath in this miserable country..and now they’re getting their dirty hands on it..And what REALLY REALLY REALLY pisses me off is that the civil society is not allowed to comment!! What can you about it? ACT NOW(by smex)! Only five days after the World Day Against Cyber Censorship, the Lebanese government decided to keep up with its neighbors in the Arab World. Its first attempt was with the Lebanese blogger Khodor Salameh, aka jou3an -hungry in Arabic- because of a post he wrote about the president. They demanded him to change his tone, close his blog or just stick to poetry or he might be prosecuted! The old one will be deleted soon, so if you’re subscribed to my RSS feed, please update it. Today (March 12), “Reporters Without Borders” are celebrating the World Day Against Cyber Censorship. Maybe we cannot relate with the subject in Lebanon since this virtual side of this messed up country is still free (so far) but it doesn’t mean we’re off the hook. If they’re not doing anything about what’s being said in our blogesphere, it doesn’t mean they don’t want to, they just don’t know how…yet! I mean we’ve seen some of their “intentions” when they tried to shut down the TV show “LOL” because of some “inappropriate” jokes! To see what we might be facing in the future, nothing is more clear and frightening than the list of the bloggers at Threatned Voices who have been threatened, arrested or killed because of their words online! What anti-censorship means to me? Freedom! Our most basic right as human beings! We need to be free to express our feelings, thoughts and opinions with no fear of anyone! Censorship by other parties usually ends up with self-censorship, you’ll end up imprisoning yourself if they don’t do it themselves! Which is more dangerous to me..
How companies and governments should act in regard to this censorship? Not by only allowing others to talk freely online, but by making sure they have the means to do so. In Lebanon, they can start by offering a decent internet and telecommunications infrastructure..
حقيقة إنو الفيلم بينتهي بنهاية سعيدة بمجرد إنه النصاب أو الفاسد ينفضح* بالإعلام أو على الملأ بشكل عام..
النكت عن السوريين من شوية كلمنجية أو لولجية معليه!! ياعمّي الليبانيز بيبول غير شكل! !